Each and every college planning client does not have the opportunity to save $20,000+ per year in annual college expenses like in the examples below. Each situation is different. In some cases there are opportunities to save more, and some cases less. In many cases, the magnitude of savings is dependent on the school for which your student chooses to attend. 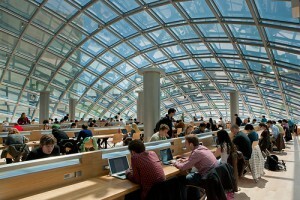 We can’t guarantee to save you a certain amount of money or get you into the school of your dreams. What we can guarantee you is that utilizing the Next Four Plan College Planning Preparedness Report will ensure that you are prepared for the college planning process and put you and your family in position to maximize your financial awards provided by schools. In addition, we can also guarantee to save you dozens of hours in time aggregating school specific and personalized information necessary to be properly informed for the decisions that lie ahead. Below are real life college planning case studies (with fictitious names) of clients that we have helped achieve what they thought was not possible. Jim and Sally Miller have a daughter named Sarah who is an outstanding student who has her heart set on attending the the University of Chicago. At this top notch institution, estimated costs for one year are $63,000 when you account for tuition, room, board, and books. Jim and Sally Miller have a combined household income of about $150,000 per year and have saved (including inheritance) over $300,000 — pretty good right! In addition, each child has roughly $23,000 in a custodial account. As it stands, with all financial aid paperwork and documentation done properly, the University of Chicago will offer $14,000 in the form of a need based grant to the Millers. However running a Next Four Plan Report and reviewing the results with an assigned college funding expert, the Millers made some strategic reallocation of their investments, and the Miller’s were are able to obtain a need based grant of for the Millers of almost $40,000! In this example (again, real results but with fictional names) The Millers will save over $100,000 on Sarah’s college education that they would not have otherwise saved. Dorothy Gruber, has a son Charlie who was applying for colleges for next fall. Dorothy is a divorced single mother who makes $40,000 a year. Charlie is a good student and will be attending college one way or another. Dorothy doesn’t know how she will pay for college on her salary. After speaking with a POM college planning consultant, she was shocked to learn that the FAFSA form doesn’t require her to include her ex husband’s income in the form. After we completed her FAFSA Form and her son was accepted to University of Dayton (UD), Dorothy received an award letter from the school. UD offered an $18,000 need based grant and $3,500 in subsidized loans (no interest until after Charlie graduates). Had Dorothy filled out the FAFSA Form on her own she would have included her ex husband’s financial information (Jim makes in excess of $100,000/yr and is not the custodial parent) into the parental assets calculation and received no need based aid and the student loan would not have been subsidized. 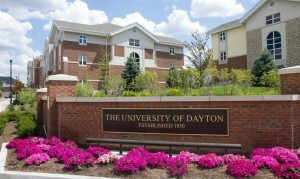 After receiving the initial need based grant offer from UD, we negotiated the offer with Dayton and they increased the grant to $20,000 annually. In this real client example (with fictional names) the total savings generated were $20,000 annually in grant money, (not including the deferred interest on the loans). 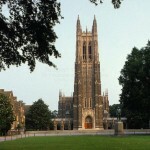 The Gordons have a sone named Jason who has always wanted to attend Duke University since he was a child. Jason is a strong academic student, captain of the soccer team, and a class officer at his high school. Although he’d be a strong candidate to gain admission to Duke, the Gordon’s (who currently have another child in college) begrudgingly have encouraged Jason to take a look at state schools because Duke is not a realistic option financially with annual costs of nearly $70,000! The Gordons are a middle class family with a solid household income of $125,000, but have only saved modestly for Jason’s college education, about $40,000. Jason’s safety schools were Miami (OH), and The Ohio State University. After running a Next Four Plan Report, the Gordons realize that after financial awards are factored in, the achievable net cost to attend Duke is actually less than both Miami, and Ohio State. Jason applied to Duke, was accepted, and received just over $50,000 annually in need based aid from Duke. Jason would not have believed attending Duke was financially feasible, but the Next Four Plan Report brought to light the distinct differences in the generosity of various schools, and that sticker price should be ignored when deciding what schools should be considered. Not only was Jason able to attend his dream school, but the Gordons actually saved $16,800 over four years over what they would have paid for Jason to attend Miami of Ohio. The examples above are just a few examples of how the Next Four Plan Report, or a more comprehensive concierge experience can help families make proper decisions.